Every time you’re doing general cleaning you wash your carpets or you take them to a dry cleaning service. But the stench may return in a few weeks, either because of food, pets or cigarette smoke. Here are three simple solutions to get rid of it with less effort. 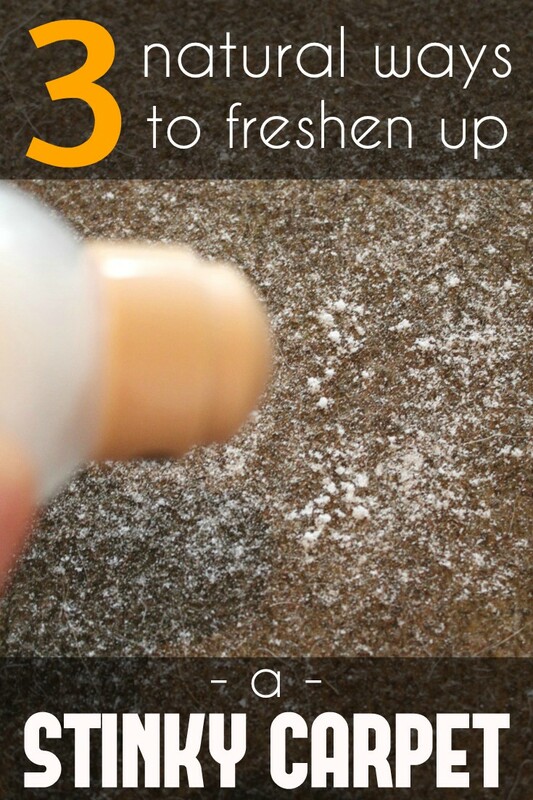 Sprinkle an appreciable amount of baking soda on the carpet and use a brush to disperse it not only on the entire surface but also in the depth of the fiber. Leave the baking soda act overnight and the next day use the vacuum cleaner and vacuum all the dust. Open the window while using the vacuum cleaner and ventilate the room for several hours. You’ll see that the carpet’s bad odor will not bother you anymore. Prepare a small spray bottle and a solution of 500 ml water and 300 ml of vinegar. Spray the solution on the carpet and take care that anyone will not walk on it at least half a day. Open the window and, after the carpet has completely dried, clean it with the vacuum cleaner. The vinegar will neutralize odors and will freshen the air inside the room. Used in the production of disinfectants and detergents, borax is one of the best solutions against mold on carpets. Take care to protect your hands with gloves and use a mask when working with borax. But if you have mold in the carpets, this is the best method: take the carpet outside in direct sunlight, sprinkle borax over the whole surface and let the substance act a few hours. Vacuum the carpet a few times to be sure you have removed all traces of borax. Finally, you can spray water mixed with a floral essential oil on the carpet, which will give a special scent. Leave the carpet one more day in direct sunlight and you’ll get rid of all the bad odors!